1. Traditional – Includes wholecloth, crazy, partial appliqué, hand and/or machine pieced and quilted. 6. 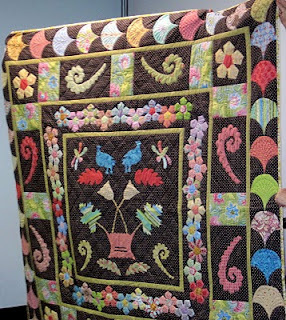 Traditional – Includes wholecloth, crazy, partial appliqué, hand and/or machine pieced and quilted. 11. 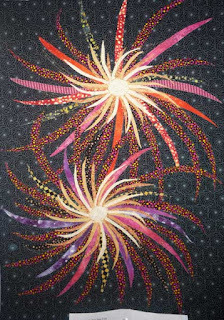 Art Quilt - to be of an original design with no similarity to the works of another Artist. 13. 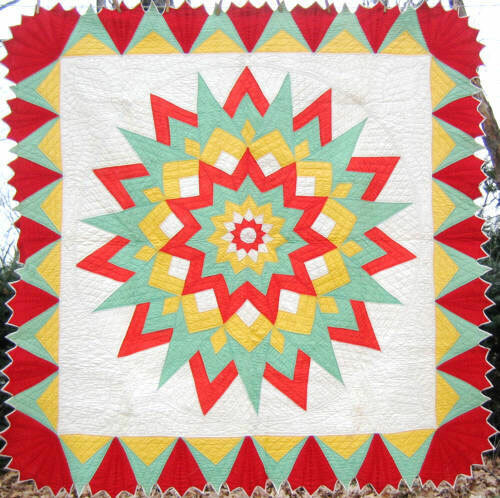 Group/Collaborative Quilt – made by 3 or more people, including at least one Guild member. 14. 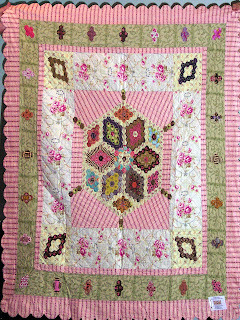 Commercially Machine Quilted Quilt - the entrant’s top, commercially machine quilted by another. 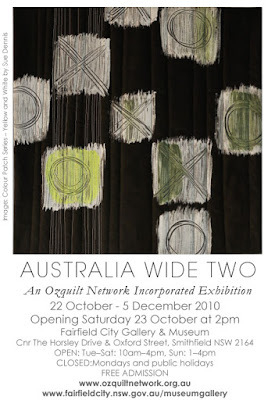 Please direct any quilt show entry queries to the Exhibition Secretary. 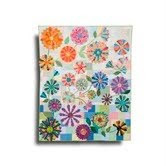 From a set of strips sewn together you can design and create your own masterpiece. 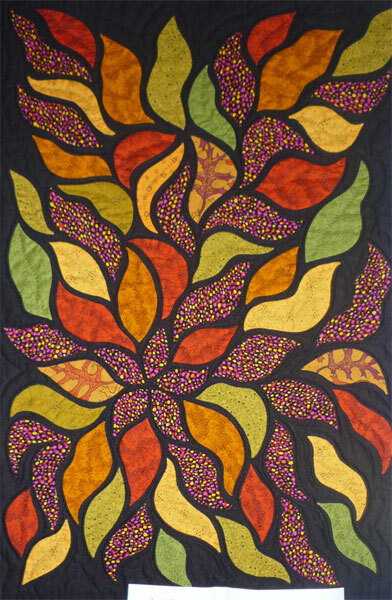 The quilt could be a Bargello, Circles from Strips or Take 6. 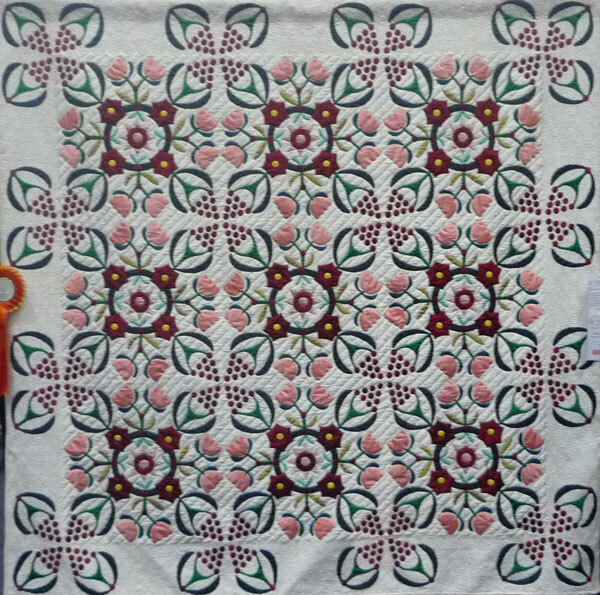 All quilts are made by simple strip piecing patchwork technique that can be used to create exciting and spectacular designs. Some preparation is required prior to the workshop. A great workshop, which is easier than it looks. Suitable for all levels. 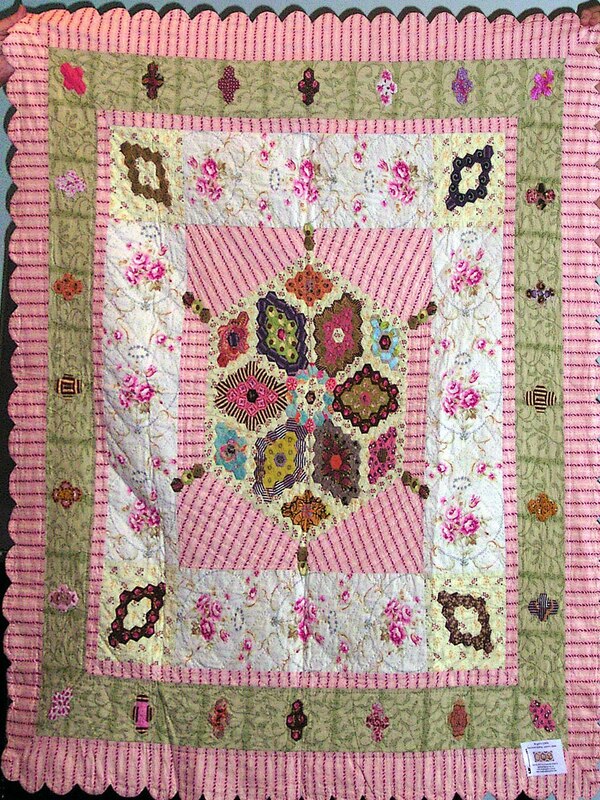 See the Guild website for more photos and information. Contact the Vice President if you have any other workshop suggestions or there are any techniques or skills that you wish to explore and develop. Celebrate the Revamp of the Guild Website! 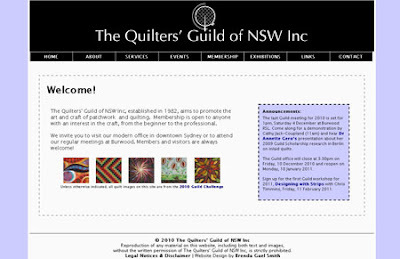 The Guild website has been freshened up with a brand new look; an easy-to-use dropdown menu to find your way around; completely updated information; a comprehensive Contact List for the new management committee and a really useful consolidated Guild Calendar listing all the Guild events and activities for 2011. 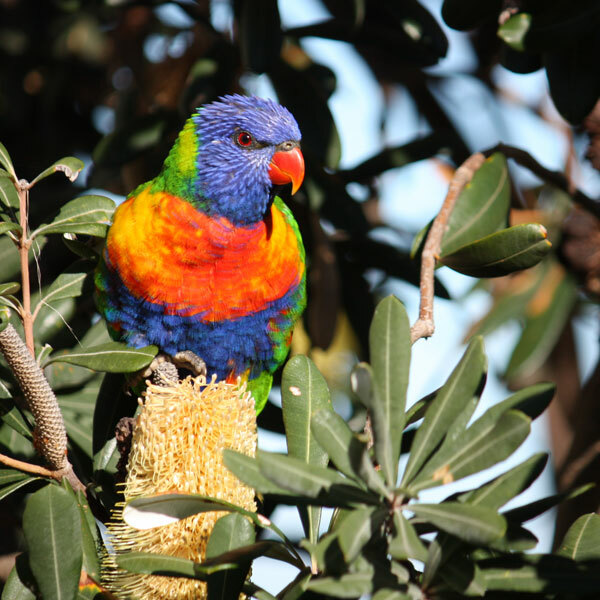 For extra colour and interest, images from the popular 2010 Guild Challenge are featured throughout the website. This blog has been "dressed" to match. Take a tour around the restyled Guild website to see all the services and activities offered by the Guild. And if you happen to find any broken links or other glitches, be sure to let the Guild Webmaster know so that they can be fixed up. 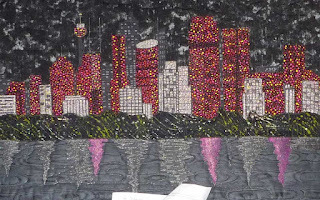 Art to Wear is a juried exhibition of wearable art presented by The Quilters' Guild of NSW as part of the annual members' exhibition at the Sydney Quilt Show. The theme for 2011 is "Twitchers all of a twitter -- Aussie Bird" with a palette of Greens 70%, Blues 15%, Yellow 5%, Red 5%, your choice 5%. 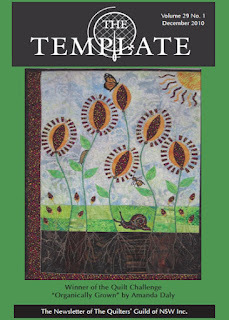 Gai Rayner is a trained instructor with Genesis Creations. 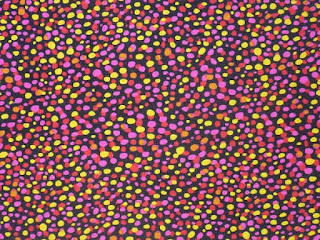 She enjoys experimenting with colour and is always pleasantly surprised at the results she can achieve using very simple techniques. She teaches fabric colouring and silk painting using Liquid Radiance paints. Liquid Radiance is paint NOT a dye. 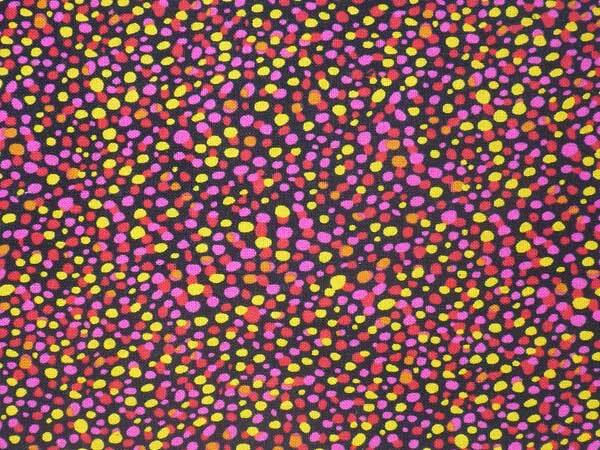 It is Australian made and owned and the paint is stable in the fabric once it is dry – no rinsing is needed unless salt has been used in a technique. 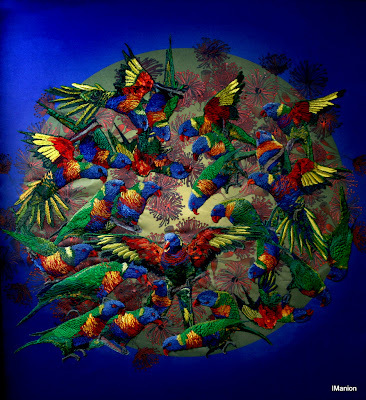 It will colour all fabrics – cottons, synthetics, wool, linen. Some techniques covered in the workshop include salting, heliography, colour tonings and Genesis Creations tie-dyeing. 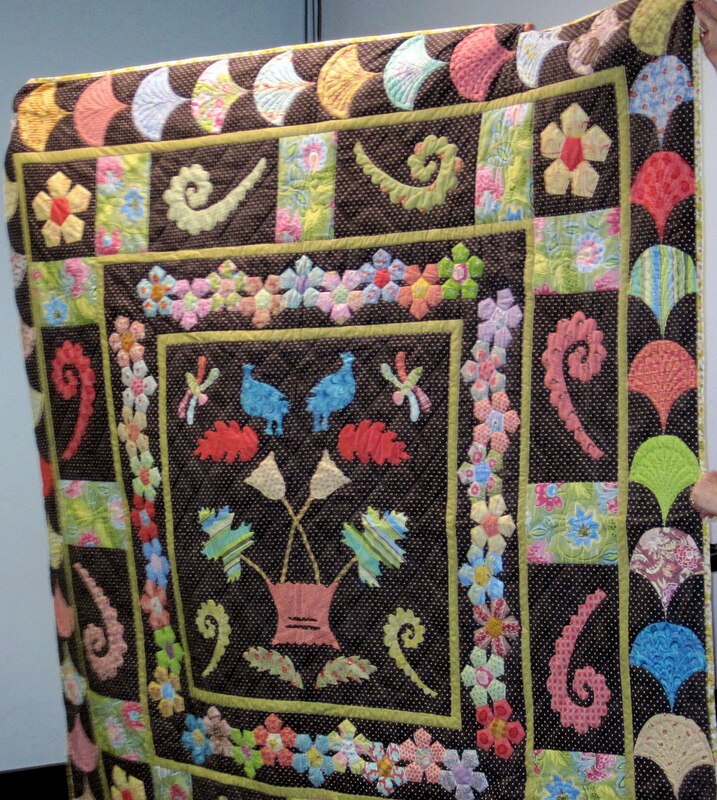 You will also learn to colour lace, cotton threads and embroidery cottons. 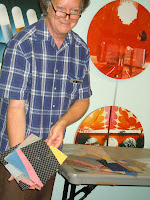 By the end of the workshop you will have produced some stunning coloured fabrics using easy to master methods. Cost will be $70 per person per day, with a minimum of ten students per workshop. Paint kits will be available for purchase at the workshop. 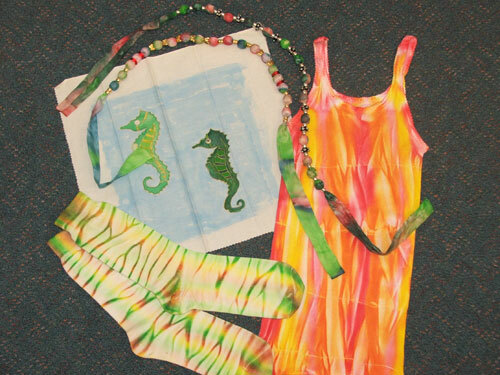 A full kit including eight colours is $115. A starter kit including three colours of your choice is $50. 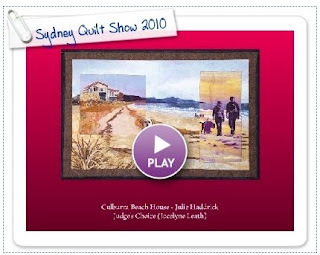 Thank you to Alex Anderson, Ricky Tims and The Quilt Show Daily Blog for the opportunity to present a slideshow of more than 20 prize winning quilts from the Sydney Quilt Show 2010. 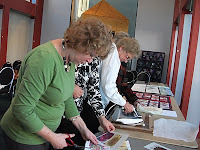 You can view a complete gallery on the Guild website. 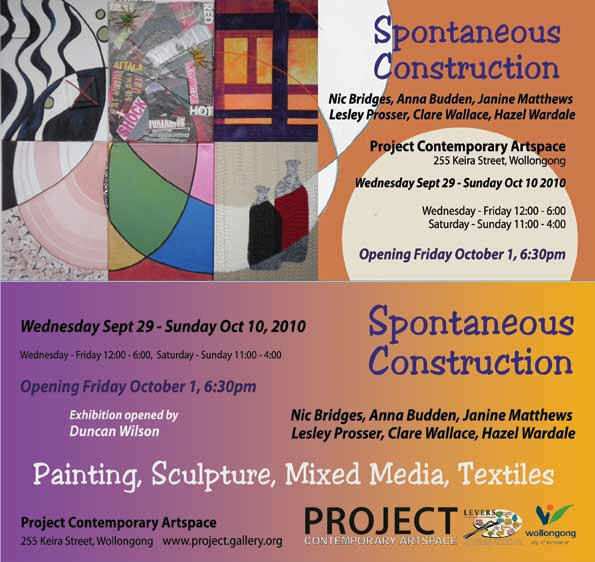 The dates for next year's members' exhibition are 22-26 June 2011. This half-day workshop with Alan R Tremain is FREE to all financial Guild members . This hands on workshop has been organised as part of the Guild’s Annual Scholarship recipient program for 2009 and is being hosted by the Guild’s Quilt Study Group sub committee. This workshop will look at the practical implementation of Conservation and Restoration techniques for domestic textiles. 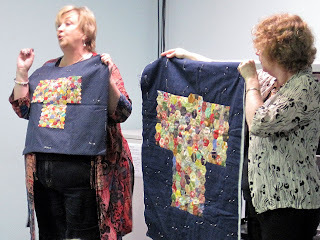 Participants will need to bring along a quilt, quilt top or other textile to work on or be advised upon plus general sewing notions. Each participant should make direct contact with the tutor prior to the event in case specific work tools are required. 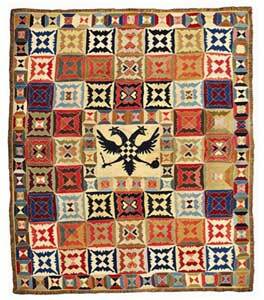 The tutor will have available conservation items for purchase by participants. Car parking details for disabled participants, please contact Karen well in advance. The 2010 Guild challenge closes on 27 August 2010. 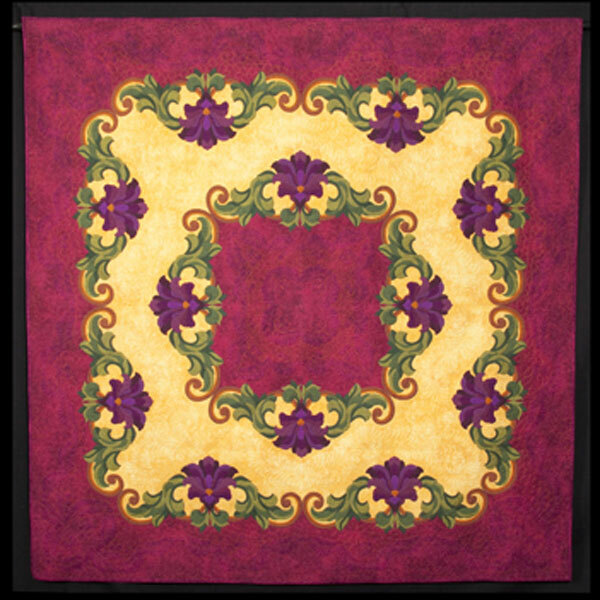 This challenge is fabric rather than theme-based and each entry must incorporate the mystery challenge fabric. 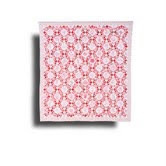 This fabric is available from the Guild office for $2.20. 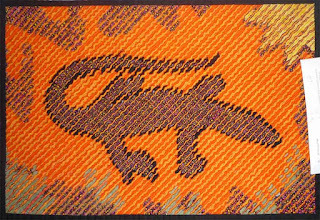 If you would like the fabric to be posted to you, please send your details to the Guild office along with 5x55 cent stamps. 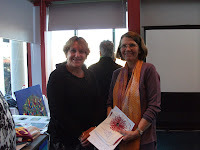 The Guild membership year runs from 1 July -30 June. Have you renewed your membership for 2010/2011?! Payment can be made by cheque, money order, Mastercard or Visa. Please add $1.50 if paying by credit card. ** Junior quiltmakers (up to 18 years of age) from the same school or area may form a group. 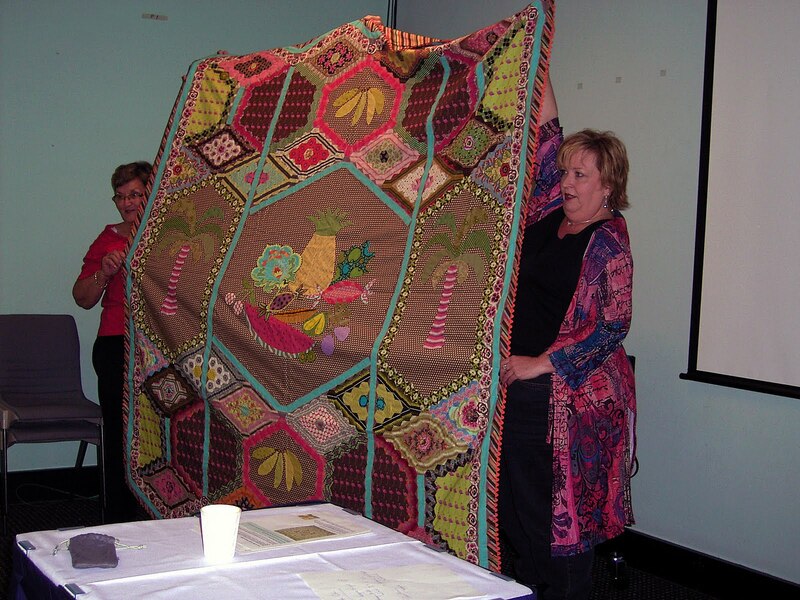 Each junior quiltmaker may enter one quilt in the Sydney Quilt Show free of charge. See this blog post for more details. The 2010 Hunters Hill Quilt Show will be held on Friday 13th – Sunday 15th August 2010 10:00am –4:30pm. 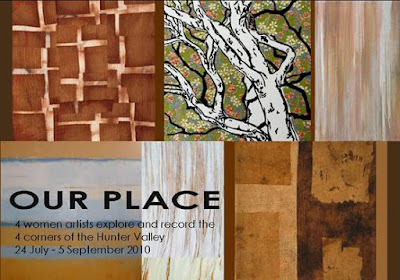 The show is held in the Hunters Hill Town Hall, Alexandra Street, Hunters Hill. 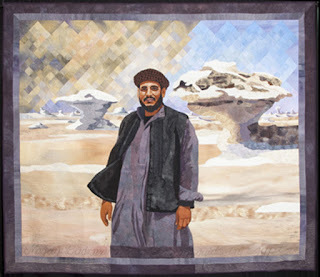 Visitors are invited to browse, admire and critique the exhibited 80 unique quilts made by members of the group. 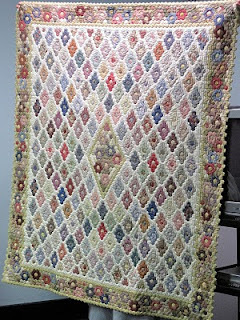 They can buy new and old quilts, add to their stash at the Material Obsession quilt shop and finally, stop for tea or coffee and home made goodies. One of the special features of the 2010 show is the Wagga exhibition. 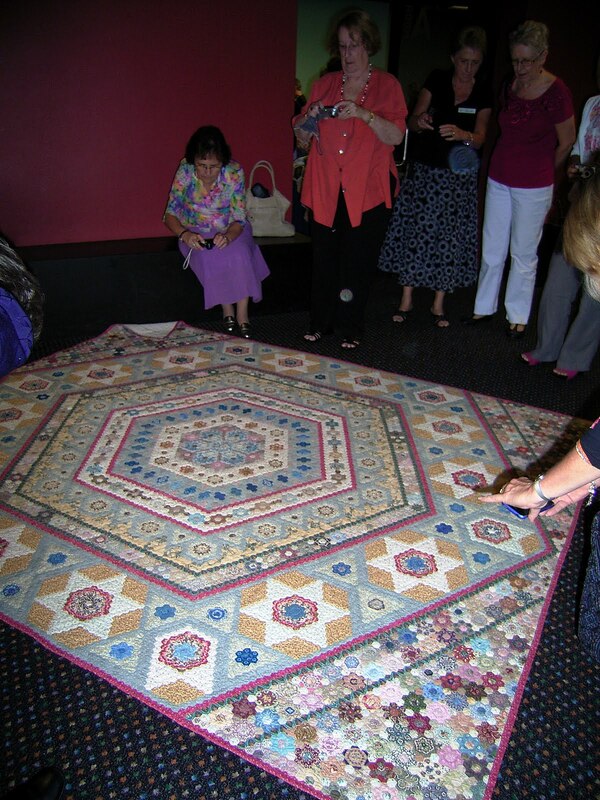 This features quilts traditionally made of necessity and from materials found in the Australian home including wool and clothing scraps. 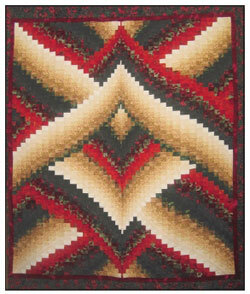 The end result of today’s wagga is a textile piece that perfectly compliments contemporary interior designs. 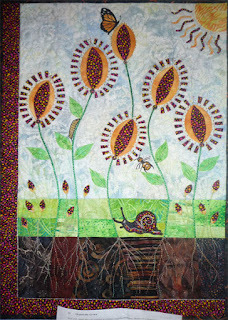 The show raffle provides an opportunity to win a choice of two raffle quilts, one traditional in design, Rhapsody in Red, a red and white red work quilt and the other a contemporary design, Sunrise, a riot of funky flowers. 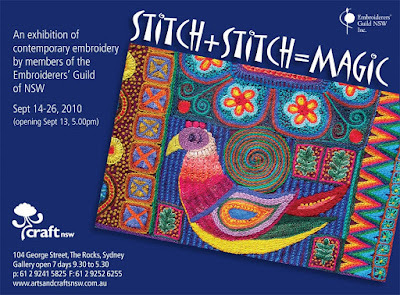 The proceeds of the 2010 show will be donated to Giant Steps Sydney: a school catering specifically for children with a diagnosis of Autism Spectrum Disorder. Hunters Hill Quilters have had an ongoing relationship with Giant Steps Sydney for several years contributing quilts to raffle and auction at their fundraising events. David Koch, co-host of the popular Channel 7’s Sunrise program, finance expert and author is this year’s judge. David will choose 10 quilts, judged on the basis of aesthetic appeal, a ‘best of show’ and 9 judge’s choice. See the Hunters Hill Quilters website for more information. 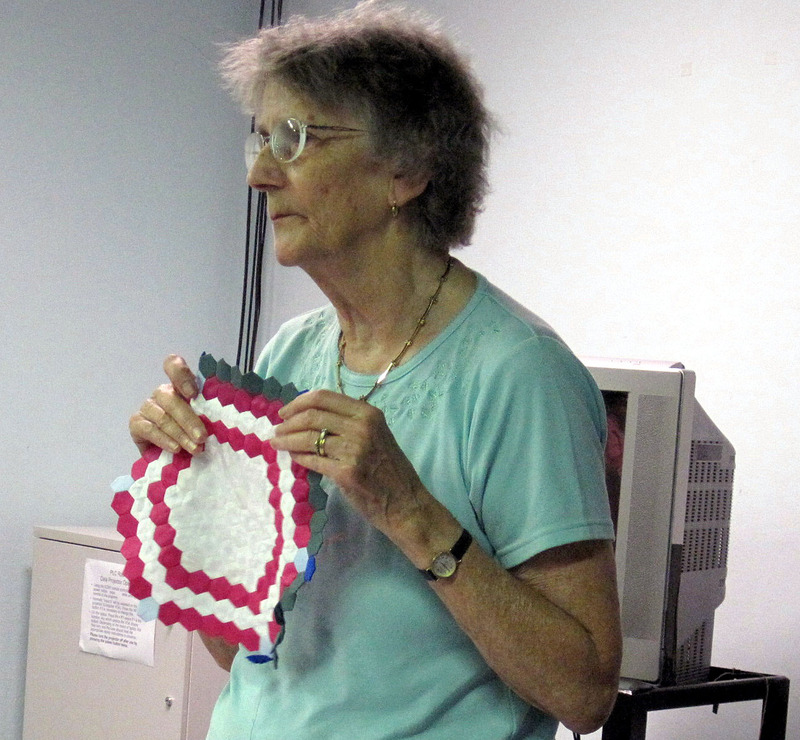 Creating with Textiles using Modern Technology with Irene Manion. 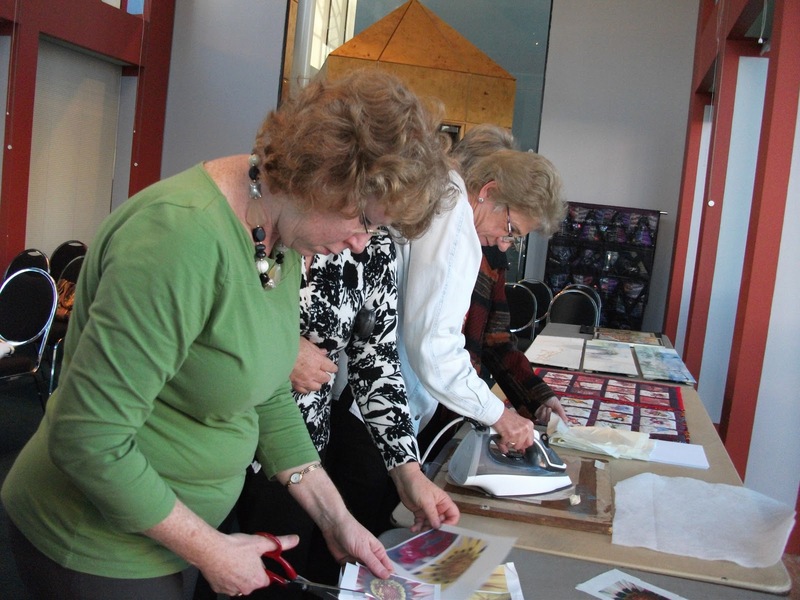 Bring Show and Tell of any textiles in your collection that use modern technology. Free to all Quilters Guild of NSW members. Afternoon Tea provided. You do not need to pay an entry fee to the Powerhouse Musuem if you say you are going to the Quilt Study Group meeting. 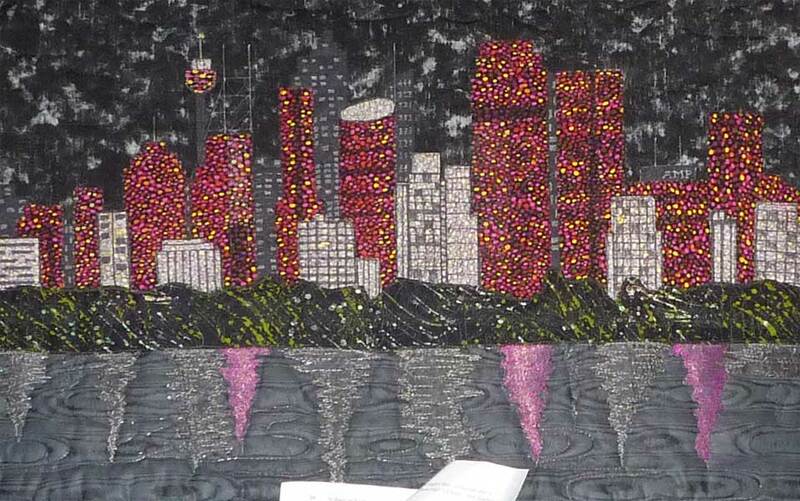 Irene Manion is an exceptional textile artist who enjoys using modern technology in her work. In the 70s her work consisted of wall hangings depicting the landscape of the Blue Mountains using batik and developed complex multilayered dying and waxing techniques. In the last decade she has moved into working with modern technology. 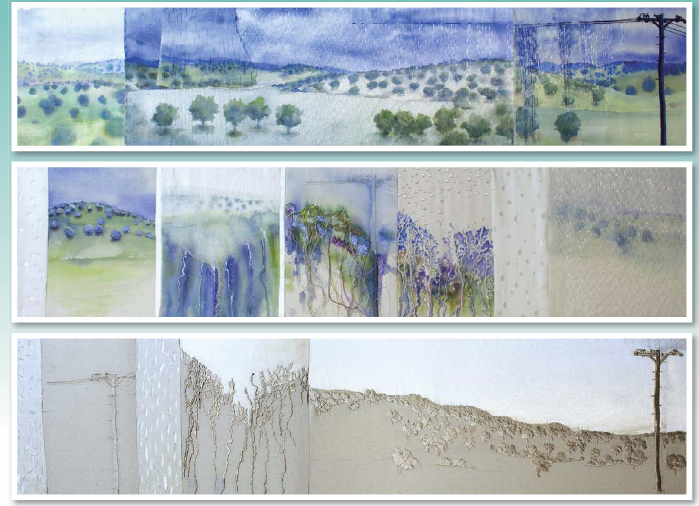 She creates dye sublimation prints of images developed from her own digital photos and drawings which are modified in programmes such as Photoshop and Illustrator. 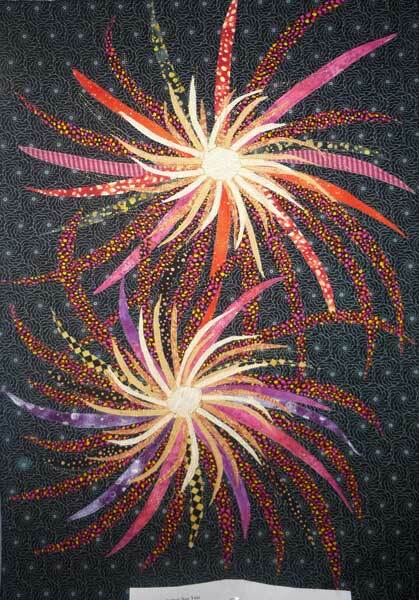 They are then commercially printed onto fabric. The next stage involves either computerised machine embroidery or free machine embroidery onto the digitally printed surface. Some quilting or 3-D development of the image is then used to give texture and depth to the final piece. 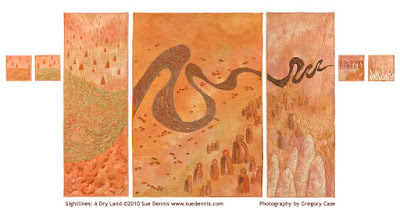 Our 21st exhibition is on this weekend - in country Camden, New South Wales. Jump on the M5 and take the Narellan/Camden exit. AH&I Hall, Argyle Street, Camden. 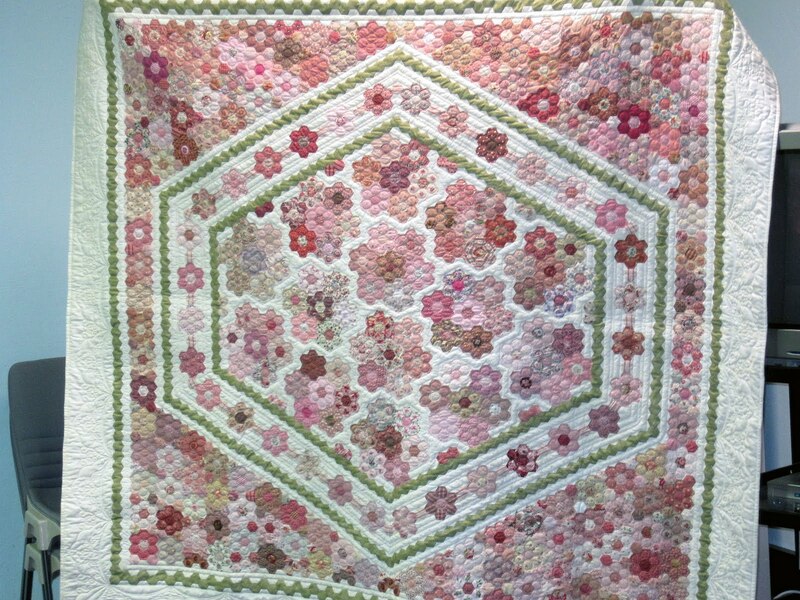 There will be a lovely raffle quilt and tickets may be purchased at the door. Funds raised go to local charities. 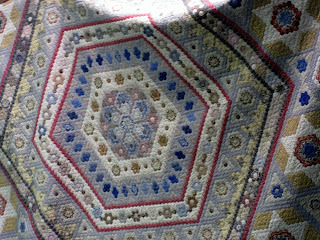 There will be many beautiful qulits on display. 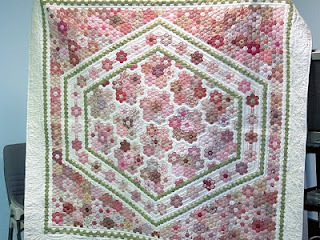 Of course there will be a table or two laden with handmade goodies lovingly crafted by our members as well as stalls selling fabrics, patterns kits, sewing bits and pieces and antique quilts. There will be a cafe will will run all day serving tea, coffee, homemade slices and cakes. Sandwiches and soup available for lunch.